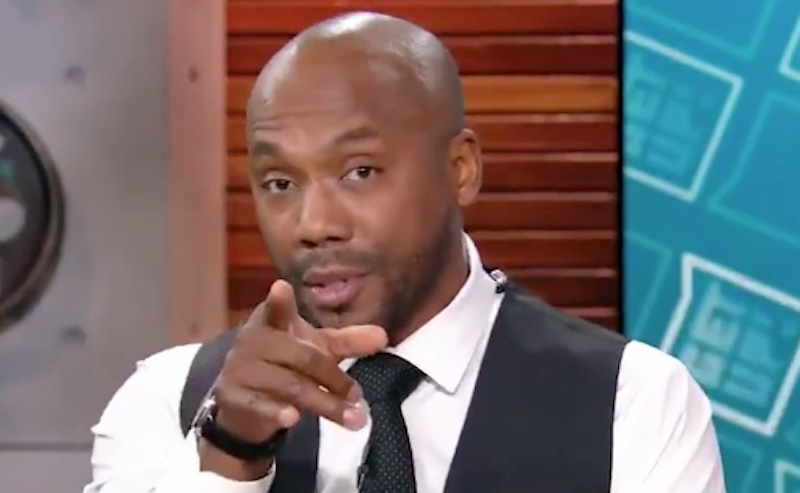 Louis Riddick wasn’t responding directly to fellow ESPNer Stephen A. Smith’s latest dose of stupid, but in this clip from this morning’s episode of Get Up, it certainly seemed like that’s what Riddick was doing. “Be very careful when you start to judge people [with addiction and mental health issues] because it is very hard to get a grasp and a hold of what it is that you are dealing with, and then be able to continually practice the things as far as coping mechanisms that you are given, and tools that you are given to kind of overcome what you’re dealing with, and have it be something that you can sustain for the rest of your life. Dear ESPN: Please show the above clip to Stephen A. Smith.